Although this book is out of print, you can purchase it as an ebook or audiobook, read it online or download a PDF file. See links below. Produced by the Lama Yeshe Wisdom Archive for Thubten Dhargye Ling Publications, Long Beach, California. About one thousand years ago, the great Indian pandit and yogi, Dipamkara Shrijnana (Atisha), was invited to Tibet to re-establish the Buddhadharma, which had been suppressed and corrupted for almost two centuries. One of Atisha's main accomplishments in Tibet was his writing of the seminal text, A Lamp for the Path to Enlightenment, in which he extracted the essence of all 84,000 teachings of the Buddha and organized them into a clear, step-like arrangement that makes it easy for any individual practitioner to understand and practice the Dharma. This genre of teachings is known as lam-rim, or steps of the path, and forms an essential part of every school of Tibetan Buddhism. 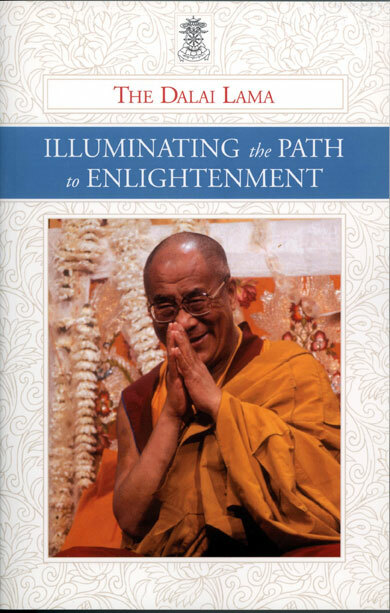 In this book, His Holiness the Dalai Lama gives a commentary to not only Atisha's revolutionary work but also to Lines of Experience, a short text written by Lama Tsongkhapa, who was perhaps the greatest of all Tibetan lam-rim authors. In bringing together Atisha, Lama Tsongkhapa and His Holiness the Dalai Lama, this book offers readers one of the clearest and most authoritative expositions of the Tibetan Buddhist path ever published, and it is recommended for those at the beginning of the path, the middle and the end. This is the first time a major teaching by the Dalai Lama has been published for free distribution. Order the ebook from your favorite vendor using the links below. You can also read this book online or download a PDF file. LYWA Members can download the ebook for free from the Members Area. Smashwords is accessible worldwide and offers the full range of ebook formats including Kindle.You can also access LYWA titles through the ebook subscription service Scribd.